It feels a bit odd talking about Christmas now, its over and done with until next year, surely we should all just be looking forward? Well I’m allowing this because it’s not Christmas itself I’m talking about but my Christmas party outfit. 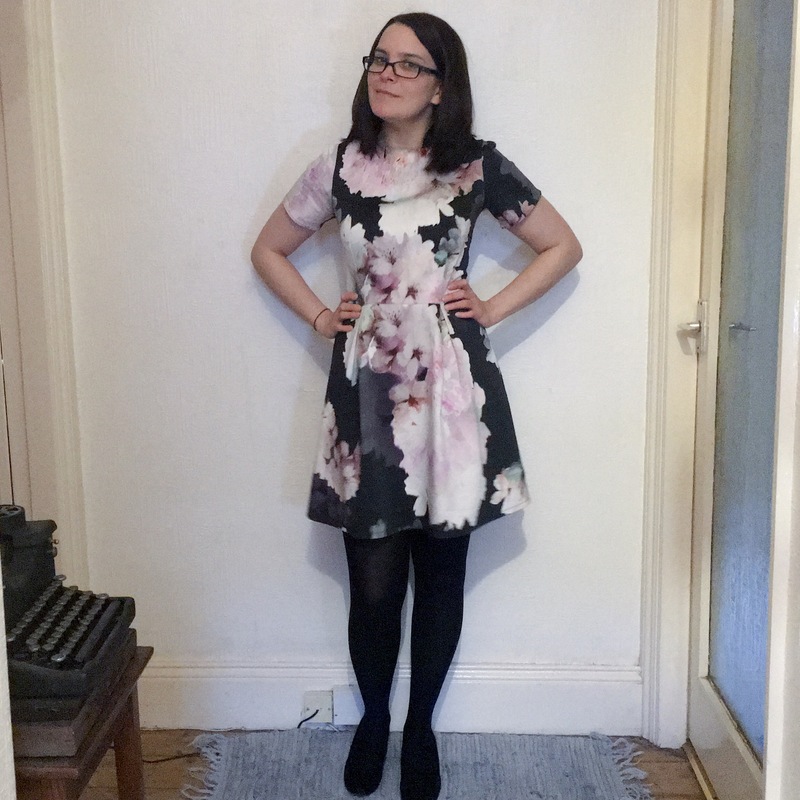 This was one of those classic ‘fabric came first’ sort of project, I found a stretch cotton on eBay back in September which I knew was perfect for a party dress. It was called Artistic Cabbage Rose print, but when I got my email with the order confirmation on it it was shortened to Artistic Cabbage… I found this so funny it just became the name for my new dress. So yeah, on to the dress. 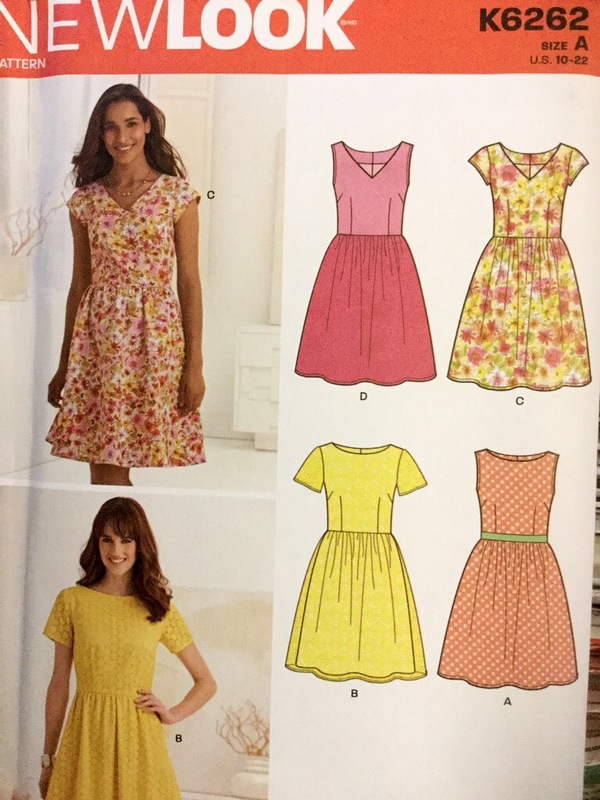 I settled on New Look 6263, which I acquired with the Sew magazine. I went for view B, but without the double layered skirt, I lined it instead. 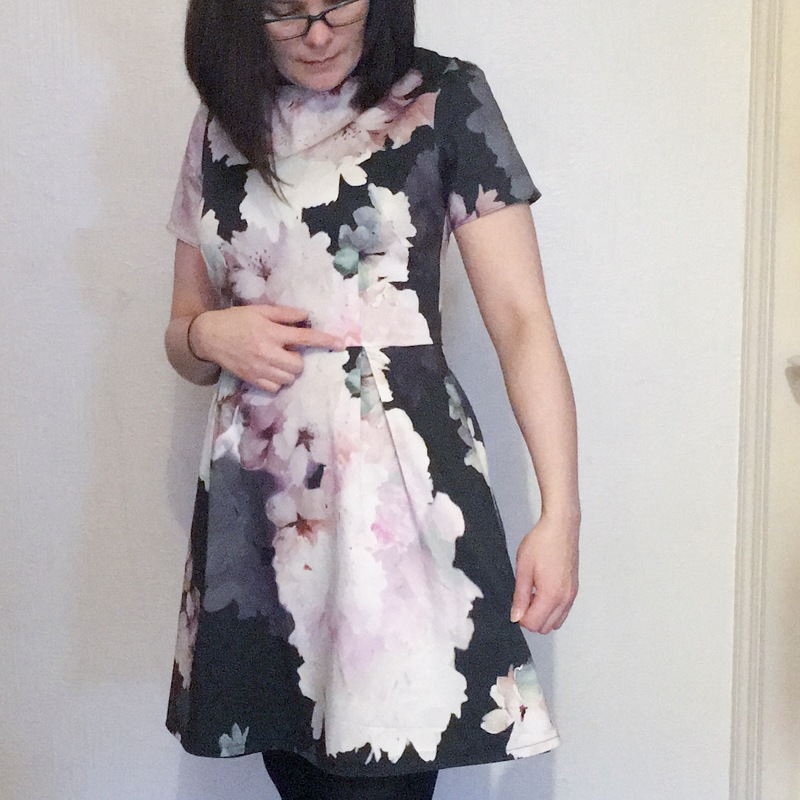 It was a pretty easy dress to sew, no surprises, nothing difficult… but I did make a change yo the pattern. 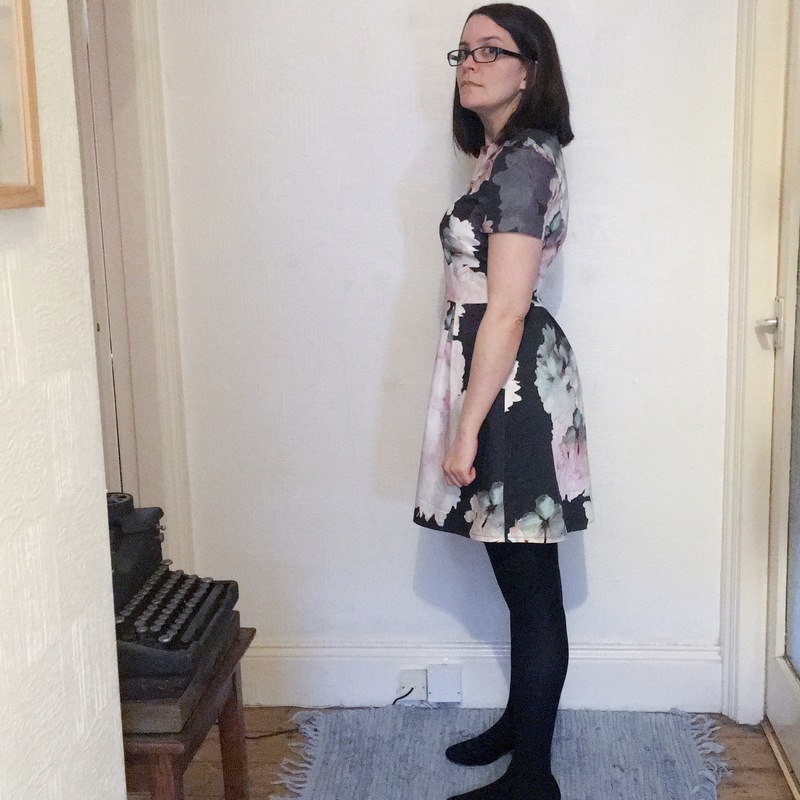 I do not suit/like gathered waists, but I didn’t have enough fabric to make a pleated skirt… solution… I put two small box pleats in the front and two in the back, I lined them up with the darts in the bodice to keep the lines of the dress clean… which also made me feel pretty smug. I love it when things are nice and neat. I also shortened the hem a bit so I wouldn’t feel like I was dressed for a wedding. I was going to narrow the sleeves too, I would have preferred them to sit flush with my arm, but actually they’re not too bad, and I couldn’t be bothered to tweak them. Big long sip in the back, it’s meant to be invisible but I’m rubbish at them so I sewed it into the seam and unpicked the seam afterwards. It worked for the zip but sadly because of the weave of the fabric it split quite a bit, I’m quite disappointed with that but it’s not very noticeable so it doesn’t spoil the dress… but I’ve sworn to learn how to put in an invisible zip properly now! 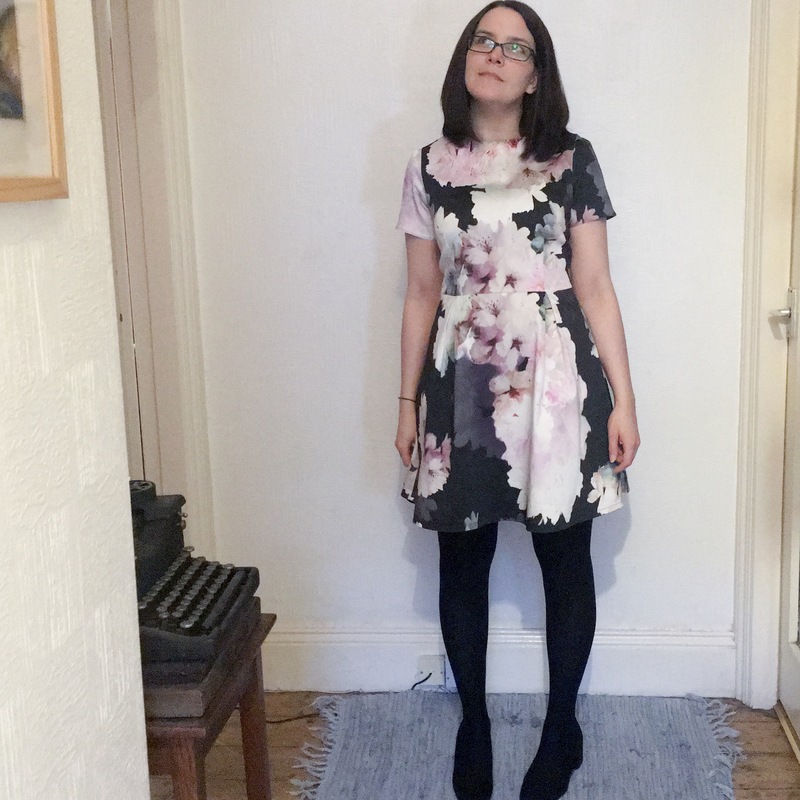 On the night I wore it I was actually asked if I had bought it from Ted Baker… I mean I’d rather it was mistaken for Channel… but I’ll take that compliment thank you very much. 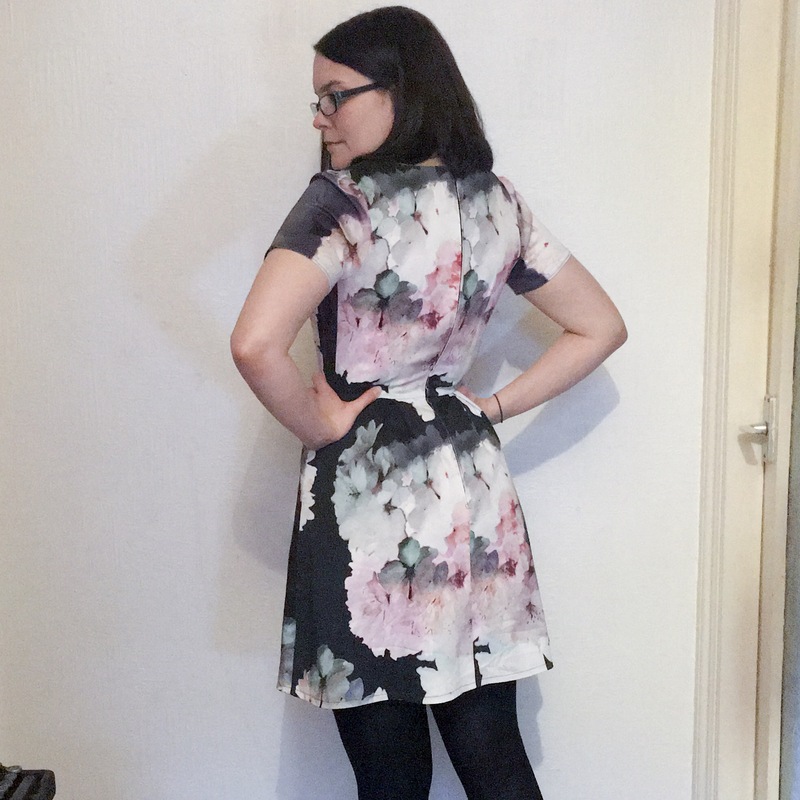 It’s a very simple dress (mostly because I only lined the skirt) but I’m very pleased with it. And now for one last ‘I think that’s a spiders webb’ picture.